You are here: Home / Featured / CEBU PACIFIC AIR: CABIN CREW HIRING! CEBU PACIFIC AIR: CABIN CREW HIRING! 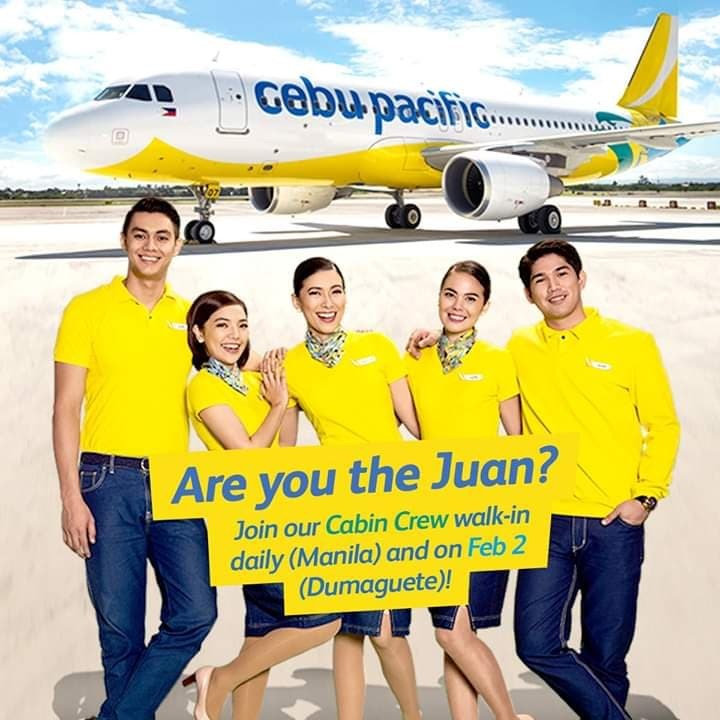 Be part of Cebu Pacific Cabin Crew family! Cebu Pacific Air is now open to hire Male & Female Cabin Crew positions. If you’re one of those who dream to work in the skies, come and join the CABIN CREW RECRUITMENT EVENTS. If you have a fun personality, guts and determination, then you could be what they’re looking for. Join the recruitment event and be sure to wear business attire and your best smile.